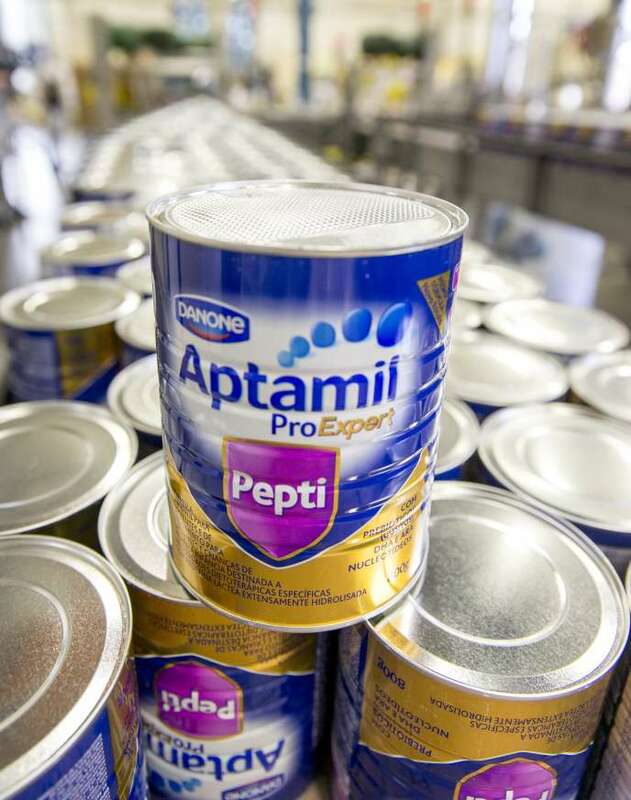 RECENT reports and a Channel 4 Dispatches documentary have revealed that all baby formula milk is “nutritionally equivalent” – regardless of their cost. The truth is, when it comes to feeding your baby, the best baby formula is the one that will make them content, satisfy their hunger and not cause any tummy pain. This will vary from baby to baby so it’s worth trying one or two out. The best baby formula doesn’t have to be the most expensive one on the shelf – it’s the one that your baby is happy to drink We’ve selected the best baby formula and brands all new parents should have on their radar, based on our personal preferences and on other parents’ reviews. It’s worth noting the NHS recommends exclusively breastfeeding your baby for the first six months, which you can read more about here. Parents will use baby formula in a variety of ways in those early years: some might combination feed or top up their breastfed with a bottle of baby formula at night, while others will exclusively feed their babies formula milk from the get-go. While it’s safe for children aged one and over to start drinking cow’s milk, many parents will keep their children on some variety of baby formula milk that’s suitable for ages one and up because baby prefers the taste to cow’s milk (that may be because there is more sugar in it) or digests it better. In our experience, a baby formula that caused no issues with one child hasn’t worked with another, which is why knowing about the different baby formula brands and formula milk options can help parents make an informed decision about which baby formula is best for their family. One thing consumers are being advised to avoid is “hungry baby” milk – often marketed as baby formula which helps babies to settle and sleep for longer periods – saying it is harder to digest with no evidence it has any benefits for little ones. The best way to tell if the baby formula you’re using is working for your baby is by their nappy contents: expect around six wet nappies in every 24-hour period from the first few days after birth, as well as steady weight gain. And a baby that’s eager to drink and guzzling away is another good sign. Best value baby formula Cow & Gate 1 First Infant Milk Powder, £8 for 800g at ASDA – buy here Parents rave about how well their babies thrive on this milk. It shares the same parent company as Aptamil, but it’s better value. Best all-round favourite baby formula – Aptamil 1 First Infant Milk From Birth £10.85 for 800g at Tesco – buy here Even with the recent furore about the ingredient change in Aptamil, fans of the brand who swear by it for their babies find it “excellent,” “brilliant” and “reliable” – it’s the milk brand they often come back to after trying out another one. Best baby formula for 3am feeds SMA PRO First Infant Milk, From Birth, £18 for 6 1l bottles at Amazon – buy here Ready-made baby formula isn’t cheap, but it is a lifesaver when you have a crying baby at three in the morning. Order in bulk on Amazon to save some cash. SMA is a Marmite baby formula brand – some parents love it and think it’s brilliant, others think it causes wind (personally, we like it). Best baby formula for easy digestion – HiPP Organic Follow On Milk Powder Formula £9.50 for 800g at ASDA – buy here Parents simply love HiPP Organic formula. They say it’s perfect for babies with sensitive tummies and some call it “the best formula there is.” This six-month-plus milk version mixes well with all baby breakfasts. Parents also love that it’s organic. Best value baby formula Sainsbury’s First Infant Milk Stage 1, £7 for 900g at Sainsbury’s – buy here Sainsbury’s Little Ones baby formula is fantastic value for money and ticks veggie boxes with no fish or palm oil. Best vegetarian baby formula Kendamil Stage 1 First Infant Baby Milk Powder, £9 for 900g at ASDA – buy here If you’re looking for veggie formula options, there aren’t many out there, but Kendamil wins points because it’s palm-oil free and kids seem to glug it gleefully. Parents absolutely love Kendamil’s baby formula: they say it smells delicious (especially compared with other formulas). It’s also British made, local-farmer supporting and has full cream. Parents can’t believe the quality of the milk for the price tag. Best baby formula for the early days Aptamil 1 first infant milk, £7.99 for 6 x 70ml at Mothercare – buy here Make your life a little easier and invest in this six-pack of ready-made Aptamil with pre-sterilised teats. Perfect in the early days, in case of a “must top up with formula” emergency and ideal whenever you are on the go. [article-rail-topic title=”More Sun Selects parenting” term_id=”14218″ posts_number=”6″ /] Has your baby starting weaning? Check out our selection of the best baby food, here! For more exciting recommendations on parenting and baby products, check out our dedicated section. Return to the Sun Selects page to view our amazing range of product recommendations. Trust us, you won’t regret it. This article and any featured products have been independently chosen by The Sun journalists. All recommendations within the article are informed by expert editorial opinion. If you click a link and buy a product we may earn revenue: this helps to support The Sun, and in no way affects our recommendations. Breast or Bottle? Why Not Both? Formula milk companies exist to make profit–lots of it– and they often use misleading marketing techniques to make that profit at the expense of women and babies. Find out how formula companies are undermining informed choice here, as well as independent and evidence-based information on the different types of formula milks available.